Opening the door to see the vibrant autumn hues of orange, red, and yellow. 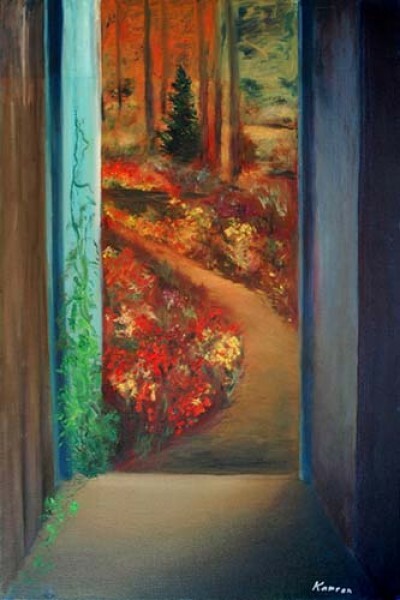 With painting, I like to explore and display the vast beauty and mystery that surrounds us. I just have to open the door and there it is.